Very recently there was an announcement from the Central Government that the NRI (non resident Indians) will also be issued Aadhaar card which was earlier known as Unique Identification card or UID. This card is being put forth as a national identity and will carry a unique sixteen digit number affiliated to each individual Earlier, the provision of Aadhar card was only for the Indian residents. But now, keeping in view the connection of NRI with the country. the government has added a special provision of issuing this card to the non resident Indians as well The specialty of an Aadhar card is that the number given is connected to the centralized data base. This data base includes biometric demographic and other relevant information. which is necessary for identifying a person. Coke says it’s trying to make consumers more aware of the healthy choice beverages Coke makes; critics say Coke is simply doing damage control. Granted, no one is forcing anyone to drink them, but there simply has not been enough public education about the dangers of excessive fructose consumption. In fact, the industry has fought tooth and nail to minimize or flat out deny these health dangers, very similar to the tobacco industry denying the risk of lung cancer.. This “conventional wisdom” has been firmly debunked by science. Not all calories count equally. And the “calories in, calories out” hypothesis for maintaining weight has equally been shown to be incorrect. It is in fact FAR more important to look at the source of the calories than counting them. “Society by-laws have no force of law and therefore a housing society’s NOC does not matter or required while selling or purchasing a flat,” renowned advocate Vinod Sampat said. The statement assumes significance in the light of the recent episode of alleged religious profiling involving Emran Hashmi who claimed that a housing society in the posh Pali Hill area in the city has denied him NOC for flat ownership because he is a Muslim. as per the directive to be given to all co-operative Housing Societies in the Maharashtra State Under section 79 (A) of the Maharashtra Co-operative Societies Act, 1960. • Original member means an individual / society, trust, company whose name is included by the society in registration case or admitted as a member of the society after registration. Only such original members name is recorded on the share certificate. In case there are other members along with the original member, the name of the original member is recorded on Sr. No.1. Other members’ name recorded thereafter serially. • Associate member means a person who holds jointly a share of the society with original member but his name does not stand first in the share certificate. In case of more than one associate members, such associate members’ names are recorded in the share certificate in the serial order number 3, 4, 5, etc. • Rights of the Associate Members: Since more than one person made payment of the cost price in the purchase deed of flat in co-operative housing society, they gets ownership rights. • Even though there is not mentioned the name as a owner in the purchase deed, the Associate Membership can get by paying only admission fee and with the consent of the original member. In the absence of original member and with his consent associate member can attend the annual general body meeting, the associate member can take part in the election as a voter/ candidate. In case the associate member gets elected as a committee member, he becomes office bearer also. A person, who became an Associate member by paying only admission fee, shall not get any rights in voting or election behalf the original member. It is necessary for the Associate member that his share/name is included in the ownership of property for holding share jointly. • Nominal member means a person admitted to membership as such and registration in accordance with the bye-laws of the society. Share certificates are not issued any. Nominal members are admitted so that necessary legal actions can be initiated u/s 91 of MCS Act, 1961. Only a Sublette, a licensee or care-taker or occupant of the flats is admitted as a nominal member. • Sympathizer member means a person who sympathizes with the objects of the society and is admitted to the society as such. In case of Co-Operative Housing societies promoted under the authorities like MHADA, SRD and SRA, the persons whose name appears as eligible persons in Annexure II only becomes the member of that society and the house provided by such Authorities given on ownership will remain in the name of original member for the period of ten years and that cannot be transferred also. Therefore, only whose name appears in Annexure II they only expected to take part in the election. Therefore, the provisions of associate members have been excluded in case of SRA/SRD and MHADA societies. • If a shop owner is a flat owner in the co-operative housing society, then it is compulsory that to become the member of the society. In case such shop owners do not come forward to become the members of the society, the same can be informed to the Deputy Registrar who shall inform the shop owners to become the member of the society. • If the benefits of common amenities created by the members of the society are taking by the shop owner/flat owner without being the member of the society, then society can take decision on its level regarding not providing such benefits/services to the shop owner/flat owner. • The above rights are not available to the nominal and sympathizer members. • Even after giving the membership form and the Managing Committee has accepted such membership, one can be considered to be member and can exercise the rights of the membership only after paying the necessary fee towards the membership. Thus even if the membership is granted by the committee, the person cannot exercise his rights of membership unless the required fee is paid to the society. • In a co-operative housing society, if a member is holding more than one flats, during election such member can cast only one vote. In spite of owning any number of flats, the person can apply for only one share and also becomes only one membership statutorily, therefore, he get right to cast only one vote. • Minor member cannot enter into any contract. Therefore, all the contracts on his behalf is done through his guardian. After attaining the maturity, the minor member can take objections against transactions regarding sale of flat done by his parents/ guardian statutorily. • The societies should not transfer the flats which is in the name of a minor member and the transaction of which is done through the Guardian unless and until, an order from the Competent Court is produced approving such transaction. The society should start the procedure only after taking proper legal advice in this matter. • A firm, company or any other body corporate can become the members of the society. However, as per the Government Resolution, more than 50% of total membership cannot be given to the firms and the company. • It is binding to make provision in the constitution/rules of the firm or company to make provision for making available of residential places for their employee/officers. • The firm or the company should not carry out the business which is against the objects of the society. • The firm or the company should have objective of providing houses to its employees in its memorandum of association or articles association. members and such provision shall be made in the bye-laws of the society. 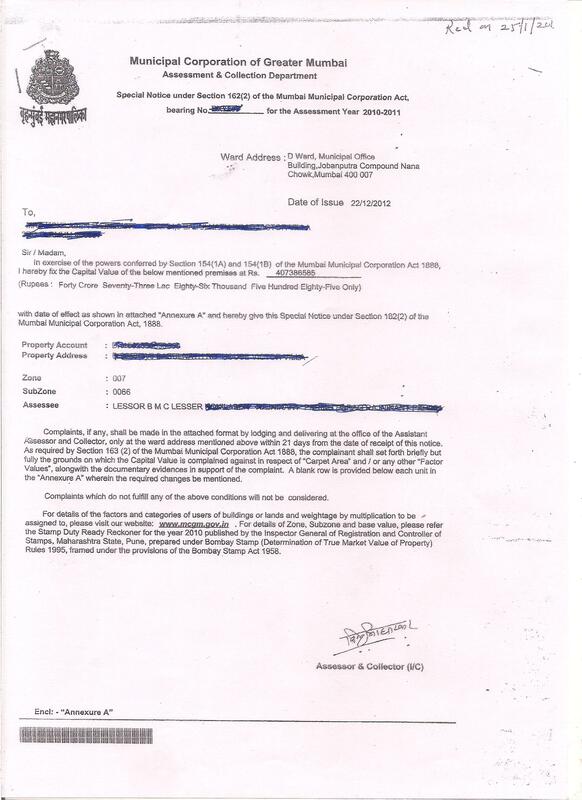 According to the constitution of firm or company, the firm or company with provision of making available of residential place to its employee/officers, such company or firm should have to give guarantee letter to the society regarding giving details of the changes that took place time to time in the name of the concerned employee/officer and giving monthly contribution of the society. Similarly should nominate those who are going to take part in the working of the society behalf the concerned employee/officer. Please make liberal use of the attached GR 8/18 Dated 18.01.2013 while lodging any complaint with Govt.Dept. The Order says to dispose off complaints within 3 months. If not, the reason to be submitted in monthly reports.